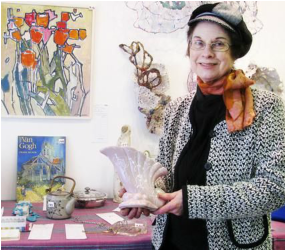 The Fort Erie Arts Council encourages diverse artistic endeavors in the Fort Erie community to enrich the lives of its residents. We are committed to the development of a rich and sustainable environment for the arts and culture in the Municipality of Greater Fort Erie and to further develop a strong and thriving creative spirit through the arts as the heart of the community life. 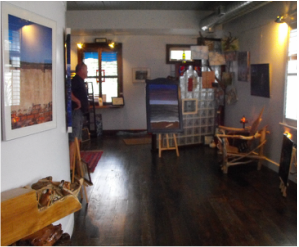 The Sanctuary Centre for the Arts is a community based art gallery and performing arts centre. 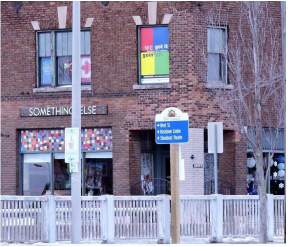 It is located in charming downtown Ridgeway where it is a hub of activity for people of all ages. The centre is a permanent art gallery and performing space which houses events such as concerts, theatre performances, art openings, fundraisers, fashion shows, conferences, weddings, etc. A unique Gallery-Boutique:recycled, upcycled, handmade fashion, accessories, art, decor adventurously appointed in an exquisitely restored historic building. To promote, connect, and support all of the arts and cultural groups, organizations, and associated businesses of Fort Erie. To facilitate cooperation and collaboration within the partners with a shared event calendar, grants and special funding, cross-promotion, strengthened network of supporters and patrons, and as “one voice” represented at the Town of Fort Erie.